Platinum performance for the stage. 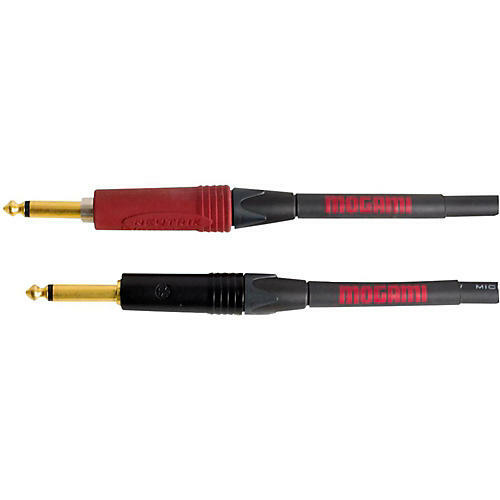 Mogami has added a ruggedized Platinum-level cable series to meet the unique demands of electric guitarists. The Overdrive Series includes guitar and speaker cables, designed to work separately or in combination with synergistic results. Mogami Platinum guitar cable is recognized as being among the finest instrument cables on the planet, exhibiting extraordinarily neutral, extended, and detailed sound from any instrument. However, it was designed for careful stage and studio use where cables can be handled with professional care. Mogami Overdrive Guitar Cable, while being more rugged, reveals even more presence, dynamics and upper frequency definition. For tone purists who make the most of the stage, this is your cable. Overdrive Cables contain no electronics, just pure copper. Following the guiding principal of Mogami cable, these cables are designed to deliver the original sound of the instrument with no coloration. Get a cable you can really on, gig after gig. Order today.